The annual Edublog Awards are nearly upon us, nominations have recently been published and voting has begun - and it seems that I know rather a lot of talented bloggers! First my Googlereader alerted me to the fact that Ewan McIntosh was nominated in the Best Individual Blog category. 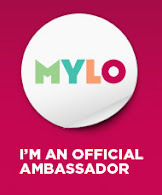 Then I received an e-mail from Jo Rhys-Jones about Talkabout Primary MFL being nominated in the category Best educational use of a social networking service. On further inspection of this category, I discovered that Jo has actually managed to get TWO nominations as her school,NING network Kingswear School Network has also been nominated. And then I found that Sharon Tonner has a nomination IN THE SAME CATEGORY for Voices of the World. And finally this morning I caught up with news from Joe Dale that his blog Integrating ICT into the MFL classroom has been nominated in the category Best educational tech support blog. Well - every one of them deserves an award in my opinion so I'll be voting as many times as I'm allowed! How can I persuade you to vote too? Well, they're all lovely people and .... not sure I can so I'll leave it to their blogs to do the talking! Please check them out and I'm sure you'll be as convinced as me that these people are inspirational, creative and innovative people who deserve a more than a pat on the back for their contribution to education. Click here to vote for Joe Dale's blog - Integrating ICT into the MFL classroom. Jean Petit qui danse (RSG notes part 2). 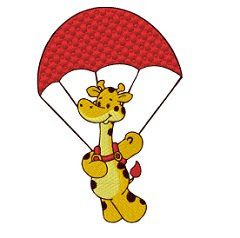 I blogged last week about the ELL RSG meeting last Tuesday, and my contributions on the subject of parachute games and songs and rhymes that can be used for active learning. However, other people offered ideas too and I was reminded of one of them when I received an email via MFL resources Yahoo group. One contributor was Sara Vallis from City Road School in Birmingham shared some ideas from a course she had attended in Besançon. FlySwat and Lamb Darts - also known as Lamb Slam - where two people compete to be the first to swat or slam the appropriate item of vocabulary on the board. Perhaps not one for the IWB! Chair OXO where you physically play Noughts and Crosses with vocabulary items to be named or questions to be answered on each chair before the square is 'won' and the team representative can occupy the chair. I liked this alternative to OXO on the board with pictures as I usually play it. Hot/cold - Hide the teddy somewhere in the room whilst one person is outside, then the volunteer returns and has to find the teddy, guided by the rest of the class repeating a word or phrase loudly(for hot) or quietly(for cold) depending on how close the seeker is to finding the teddy. You could use any vocabulary or phrase; you could even use it to practise opposites with two words being used eg grande for hot and pequeño for cold. "When revising the body this is the song that I always with my students, they love it. I have now found it on Youtube. A good one to get out of breath and tire them out!!!" I'll blog about what Paul Nutt and Rona Heald said a little later! 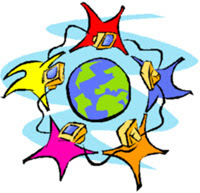 I spent today in Gloucester at an eTwinning event entitled Working on the Internet with partner schools across Europe . The event was led by Baldev Singh so when I was asked following the Nottingham PDW by the British Council to attend the event as an eTwinning Ambassador and talk about my experiences of eTwinning, I jumped at the chance. As I blogged previously, I had wanted to attend all three of the workshops at the Nottingham event, so the prospect of learning something from Baldev was exciting. And sure enough, I did! After giving us an overview of how ICT and technology has impacted our world and how it can be used to develop the international dimension, we had a go at using Photo Story 3 to make presentations on a theme of our choosing. I was itching to have a go as I helped other people with their presentations, and I managed to grab a few minutes to make a quick slideshow about 'Healthy food'. I was really pleased to learn that Photo Story 3 is downloadable free and as soon as I got home I downloaded it - another thing to play with at the weekend ;o) It was really simple to use and you can see the result of my ten minutes (promise you it was that quick!). Throughout the day we talked about a myriad of tools such as Voicethread, Voki, Animoto, OneTrueMedia, Flickr, and many more as well as mentioning various projects including Voices of the World and Chris Fuller's Euro08 project - possibly not a good time to talk about footy :o( as looked at the possibilities for eTwinning. I talked to one delegate about a collaborative music project and another about their existing partnerships and how it might be developed. It was good to be able to go beyond my brief too as people asked about my PLL experiences too and I was able to point a couple of people towards online support networks such as Talkabout Primary MFL. All in all, a successful day for all - and I must have done a half decent presentation as I've been asked to go back! Today's ELL RSG in Birmingham is entitled Let's get active! and I'm presenting ideas for activities using Songs and Rhymes , and also Parachutes. You can download their parachute materials in Spanish, French and German from there! by clicking on F. There are lots of other materials there too for stories and songs as well as craft activities. Having published the last post, I came over all creative and decided to make a slideshow of some of the hands from Hands around the World using OneTrueMedia - partly as a trial run for this month's Voices of the World task, but also because I think it looks and sounds great. Tell me what you think! Back at the end of August, Paul Harrington blogged about Imagiverse and mentioned being involved in their Hands around the World project last year. As I'm always on the lookout for new ideas for global links, I investigated further and signed up Whitehouse Common. Well, a couple of weeks ago, the time came to take part and on Friday I sent off a large parcel of handprints to Michelle Mock in California. Hands Around the World - Students from classrooms around the world will create cut out paper "handprints" which they will send to Imagiverse for distribution to other participants. You will receive as many handprints as you send (at least one per student). The Fall exchange is themed "Holidays Around the World". Since many countries and cultures are celebrating major holidays at this time of year, we would like to celebrate how and what you celebrate. What are the traditions celebrated where you live? What are the customs and traditions you observe? What might someone in another country not know about your celebration? What is the history behind the tradition? So, being an adventurous kinda gal, I decided that the whole school should get involved, so over the last ten days, 480 kids have been drawing around their hands and decorating the prints to depict a festival of their choice. Then on the back they have written the name of the festival and a sentence or two about why it is special to them. Most classes cut them out too but I did end up with over 100 to cut out myself, and then I took photos of them all for posterity before parcelling them up and posting them to the USA. Now we await the arrival of our parcels of Hands from around the world! Hopefully we'll find out about some festivals and celebrations with which we are not so familiar as well as discovering how other people celebrate the ones we know. Just as with our eTwinning project last year, I feel that this exercise has once more given the pupils the opportunity to reflect a little on events that happen every year, like Bonfire Night, Diwali and Christmas, and to remember the reasons why we have these events - even if some of their reasons for choosing to depict them were based on sweets and presents! So - why not get involved? There'll be another exchange in the Spring, with a new theme. You don't need to involve the whole school, but nothing ventured, nothing gained! It could be a gentle way to introduce the idea of International projects to your school, and, as Paul pointed out in his blog, it's an excellent idea for keeping kids busy during wet breaks! Lily and her amazing geographical knowledge. Well - perhaps this is the answer to lack of global awareness of our pupils? Although I'm not sure that geographical knowledge will necessarily translate into global understanding, at least she can find her way around a world map and perhaps one day, visit all these places? UK pupils 'least globally aware' ? My BBC Online daily e-mail informed me this morning that, according to a British Council survey, 'UK children aged 11 to 16 have the lowest international awareness among their age group in 10 countries'. When questioned, children in the UK were least likely to want to try and understand world affairs, and saw themselves as citizens of their country rather than the world. Young people in Brazil were among the most likely to agree with the statement "it is a good idea for schools in my country to have links or partnerships with schools in other countries" but the least likely to be in schools that had such links. "Our school children cannot afford to fall behind the rest of the world. For the UK to compete in a global economy, it is vital that we encourage our young people to have an interest in and engagement with the world around them." Intercultural Understanding is a key strand of the KS2 Framework for MFL (although we're supposed to use PLL (Primary Language Learning) to get away from the negative connotations that 'foreign' can have) As far as I'm concerned, opening the 'window on the world' is a vital part of learning languages. At Whitehouse Common, we're taking this seriously and I've written raising international awareness and understanding into the SIP for PLL as a specific target. Last year we made a start on this with an eTwinning project called Somos lo que Celebramos. Working with Colegio Público César Hurtado Delicado in Valverde de Leganés, nea r Badajoz in Spain, we compared and contrasted festivals and celebrations in the two countries. The project not only broadened the pupils' knowledge of Spanish festivals and culture but also made them look at their own celebrations through new eyes. We won a Runners-up Prize in the National eTwinning Awards for the project too - I was very pleased - my head wanted to know why we hadn't won! We're taking part in the Voices of the World project , have two Ted-E-Bears in North America and are about to become involved in a new Teddy based project with Silvia Tolisano. Our eTwinning project for this year is called Somos lo que comemos and hopefully will involve five countries comparing and contrasting food and healthy lifestyles in our countries (details being finalised at the mo!). Then there's Hands around the World - 480 handprints to parcel up (and cut out!!) to be sent around the world to other classes as we compare 'Holidays around the world' and, later on in the year, a postcard exchange. I'm working on email links with South America and, following on from the success of this year's European Day of Languages, I'll be starting planning for next year after Easter! I'll tell you more about these projects over the next few weeks but just wanted to respond to the article with some examples of how we might address this - hopefully in a few years' time, children in the UK will be more globally aware and see themselves as 'global citizens', as they are encouraged to reflect on their own experiences as they appreciate those of others. So we had the time to do all kinds of things! First of all we had a look at ¡Quiero mi plátano! (I want my banana) a Talking Big Book from Early Start and b small publishing. We read the story together with the pupils working out the meanings of words from the context and by looking for cognates. They even made the link between the colour 'naranja' and the fruit 'la naranja'. Once we had read the story, we had a go at some of the puzzles based on animals and fruit. The favourite was the 'reveal' game where a picture is hidden by seven numbered tiles and pupils have to choose a tile to uncover and then make a guess as to (in this case) the animal or fruit. This enabled the pupils to practice numbers as well as the new vocabulary, and was accessible to all as there were two options given for the answer thus allowing the less confident to make a 50/50 choice, whilst the more advanced guessed before the options were given. We then went back to a favourite song we had learnt a couple of weeks ago - Diez animales en la pared. One afternoon I was inspired to rewrite Ten green bottles in Spanish as the class needed some number practice and bottles aren't interesting - to 6 year old anyway ;-). Diez animales en la pared was the result. The original was created in five minutes (how long I had before the class arrived!) on the SMARTboard, but the beauty of that is that you can export the file as a Powerpoint and then use it on other IWBs (great as WCPS had Promethean!). In the original, the pupils took it in turns to make an animal fall off the wall; in the powerpoint version, I animated it so that the animals fell off the wall on cue so that I could ask the pupils to predict which animal will fall next. Today it was a popular move to revisit the song which was particularly surprising as at this point choir members had to go off to rehearse for the Christmas production, leaving six boys and me! And we had a great time! Such a good time that I recorded them for posterity - and you can listen by going to my new Box of goodies! (you can also download the powerpoint if you want!) We didn't stop there either - break came and I was inspired again - why not take the classroom outside - so we did. Outside went the box of puppets and we had another chorus of Diez animales this time using the puppets as the actors and the shelter as our stage. The boys weren't happy with the outdoor picture so we moved to the cloakroom for some more! Then we went back to the class and made our own walls with animals on. Some walls were more successful than others (don't think we have any future bricklayers in the class!) but the animals were selected and named (mostly!) in Spanish. Comments at the end of the lesson included 'That was fun, Señora, do I have to stop now? ', 'I've just put it in my desk to finish tomorrow - is that OK?' and 'Oh! I missed it all cos I was at choir!'. Next week we'll go back to ¡Quiero mi plátano! as we're moving on to talk about fruit, but I'm sure we'll have to sing Diez animales again! I was interested to read this- the headline story today in the Education section of my daily news e-mail from the BBC (thanks to Joe Dale for pointing me in that direction). 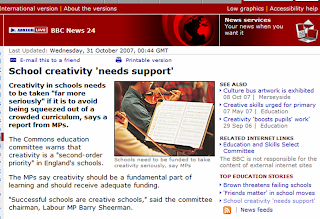 The Chair of the Commons education committee, Barry Sheerman is quoted as saying "Successful schools are creative schools" and he suggests that although many schools acknowledge that creativity is key, they are afraid to really embrace it due to the pressures of academic standards. The report urges the Government to fund creativity and make it a key part of the Every Child Matters agenda, stating "Creativity should be at the heart of the very heart of teaching and learning." Amen to that! !